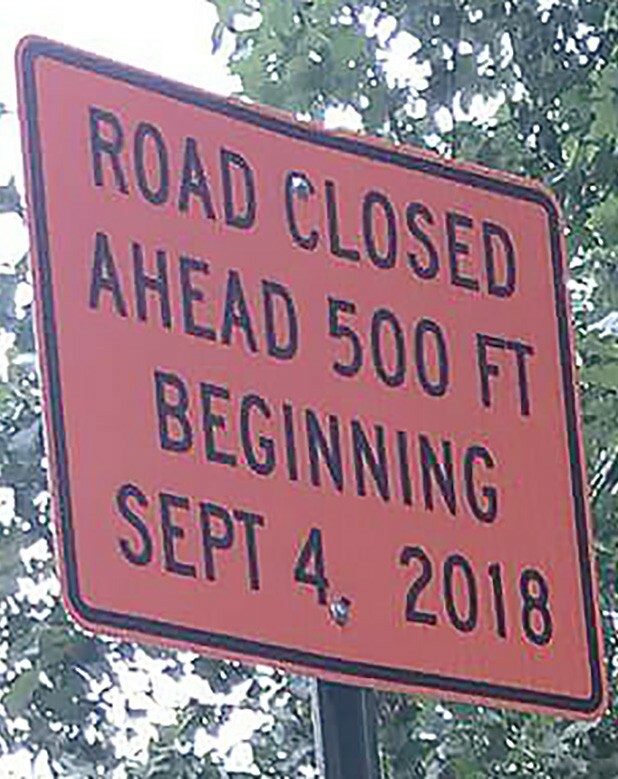 On Sept. 4 the county commission will barricade the causeway just past the intersection of Joey Lane and Reid Road in the Sugarland Lake community. The section of Reid Road has water on both sides, and according to Sugarland Lake Association president Brian Reid, is a floating roadway. This closure will force drivers, including school buses, to find a different route. Signs have been posted on both sides of the causeway since July to allow drivers time to find an alternate route. Commissioner Dean Calvert confirmed the causeway would be barricaded due to safety concerns. The county has assessed flooding concerns as well the costs involved with being able to better channel the flow of water. He said the county simply does not have the money to build a concrete flume to allow the water to flow properly. The association is discussing plans for the area to be barricaded. Some changes will take place immediately, such as creating a gated area. One gate will be locked and for authorized vehicles only, while another gate will be open for pedestrian traffic. Other long-term plans being discussed by the board include: (1) creating a park area with a pavilion, benches, and tables; (2) adding a boat dock; (3) making the area accessible for pedestrian traffic only. The exception to this will be county roadwork, emergency medical and fire units, and designated board members. Reid noted that these long-term goals will require significant funding to proceed, as well as a lot of manpower by volunteers.